ELMHURST, Ill. -- Police are looking for an elderly man with mild dementia and Alzheimer's who failed to return to his Elmhurst home. 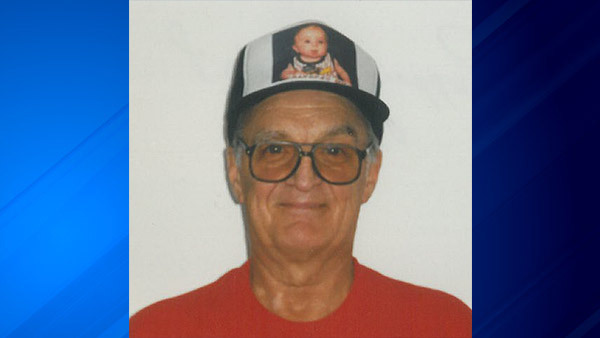 David Ruppert, 85, was last seen leaving Magic Scissors on Summit Rd. in Oak Brook Terrace around 12:30 p.m. Tuesday, police said. He was driving a silver 2006 Chevrolet Equinox with license plate 502 999. Police said Ruppert was last seen wearing a maroon jacket, sweatshirt and a ball cap. Elmhurst Police are asking anyone with information on this missing person or the vehicle, to contact their local police or the Elmhurst Police Department at 630-530-3050.